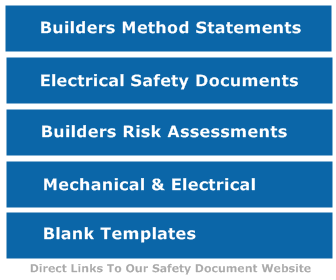 This example Risk Assessment is for a small scale demolition project. The initial Risk Score prior to adding steps to reduce the risks is high; therefore sufficient steps should be taken to reduce the risks. 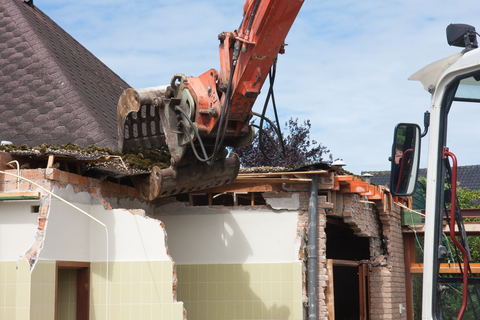 Ensure that sentries are available when the walls facing the public highway are demolished. Ensure that no items that may cause tripping left on scaffolding if used. Planning of vehicle movements, parking of site staff vehicles to be checked so that lines of sight by other road users are not blocked. Activity:- What is the Hazard? Harm:-Who or what? What are you already doing? Public entering site Injury to persons Site to be securely fenced off and locked at end of working day. Signage warning of danger. Gas/Elec Explosion/Fire/Shock Services to be disconnected and confirmed as disconnected by licensed persons only. Working at height Falls from height Injury to persons Use of scaffolding Use of Fall Arrest Systems. Slips/Trips Injury to persons Good Housekeeping observed, all trip hazards removed. Road users and pedestrians during movement of lorries Injury to persons Use of banks man at all times, warning signs and where required physical barriers. General site hazards including dust, cuts etc. Injury to persons Use of Personal Protective equipment at ALL times. Dust suppression system planned, full site coverage of water mist when required. Falling Masonry uncontrolled collapse Site Operatives, Possible public Whilst carrying out the soft strip state of the contract the structural stability will be assessed.If any section of the building is deemed at risk then all persons will be evacuated and mechanical means used to remove and make safe any required areas of the building.